When will the Gold Coast 2018 Commonwealth Games (GC2018) be held?  The Gold Coast will host the Commonwealth Games from 4-15 April in 2018.  The Gold Coast 2018 Commonwealth Games Corporation (GOLDOC) have the role to plan, organise and deliver GC2018, working alongside the Commonwealth Games Federation, Australian Commonwealth Games Association, Federal and Queensland Government and the Gold Coast City Council. Events will predominately be held at venues on the Gold Coast. Some events will also be held in Brisbane, Townsville and Cairns. What sports will be contested at GC2018? Eighteen sports and 7 para-sports will be contested at GC2018. A complete list is available on the sports page. What are the dates and times for the GC2018 Sports Program? You can check the full sports program and plan you games with our handy interactive competition schedule. Can I receive updates and information about GC2018? You sure can! Simply subscribe to our eNews or follow us on Facebook, Instagram, Twitter and YouTube. How can I purchase tickets to GC2018? The Ticket Request phase goes live at 12:00pm (AEST), 24 April 2017. Our Ticket Guide is now available to help you plan your games. Please read our detailed Ticket FAQs for more information. There sure are! We will be advertising a variety of roles to assist in the planning, organisation and delivery of GC2018 on the employment page, Seek.com.au website and Facebook page. How can I get my business involved with GC2018? Merchandise can be purchased from the online store, offical shops. Where should I stay during the Games? The Gold Coast is rich in accommodation options with many great places to stay. To view information about the Gold Coast including where to stay, places to see and things to do, visit the Gold Coast Tourism website or call 1300 309 440.  Please note: GOLDOC are unable to accept bookings from spectators and visitors seeking accommodation for the Gold Coast 2018 Commonwealth Games. How do I go about requesting a guest speaker to present at an event or function regarding the Games? Can I use the GC2018 Emblem? Graphics, words and phrases associated with GC2018 are protected and should not be used without the written authorisation from GOLDOC. To request use of GC2018’s emblem, please email approvals@goldoc.com. Why is the website not working on my browser?  You may be using an unsupported browser to view the website. Older browsers may not give you the best viewing experience on your desktop, smart phone or tablet. Please refer to the accessibility section of the website to see which operating systems work best for this website. You can also contact us if you have any questions or feedback about how we can make our website more accessible for you. What if my query has not been answered? If your enquiry has not yet been answered, please contact us using the contact form. Will GC2018 cater for spectators with accessible needs? We are committed to providing an accessible Games with accessible seating tickets available in all GC2018 competition venues.